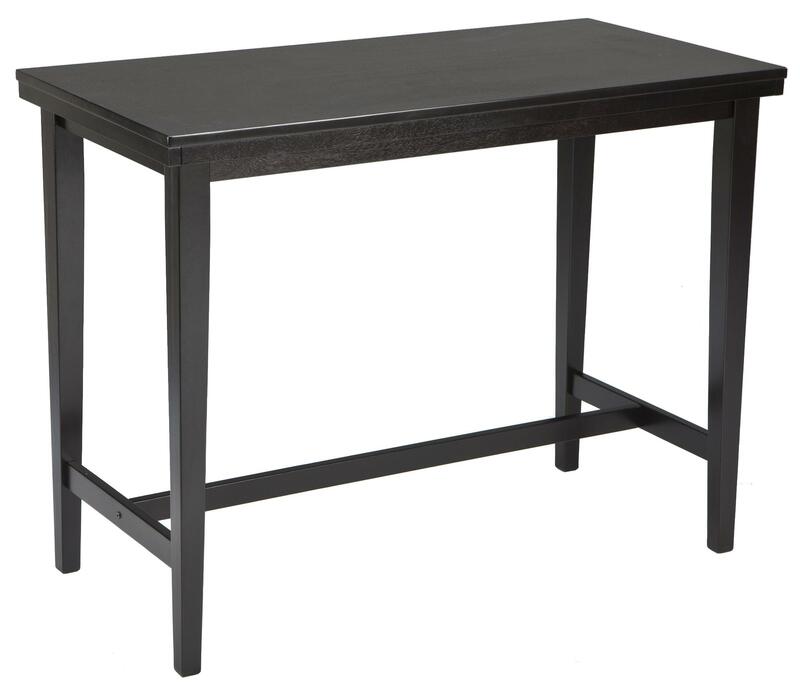 Contemporary in style and small in scale, this counter table fits nicely in any dining space or kitchen. 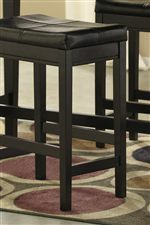 You will enjoy casual meals and entertaining with this table at the heart of your room. 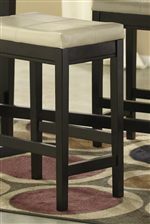 It is made with select veneers and hardwood solids in a dark brown finish that make it a fit for any decor. 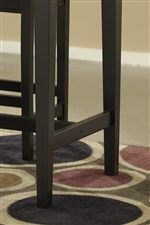 Tapered legs with a stretcher complete the table. The Kimonte Contemporary Rectangular Dining Room Counter Table by Signature Design by Ashley at Sam Levitz Furniture in the Tucson, Oro Valley, Marana, Vail, and Green Valley, AZ area. Product availability may vary. Contact us for the most current availability on this product.